For a number of years I’ve had a midnight start on the dot to kick off the new river season. But this time round I skipped with tradition. For one, I had just done two nights on a stillwater so wasn’t at my freshest. Then, with the 16th being a Sunday I needed to be at my best; as a Rev it’s my main day. Finally, with it being Father’s Day, my daughters and granddaughter came to see me the evening before. I love my fishing but God and family come first. There’s a difference between a passion and an obsession and I know from my own heart which camp I’m in on that score. So it wasn’t until the evening of opening day that I managed to get out. I decided to hit my ‘secret river’. If you’ve followed my angling adventures in recent seasons you’ll know all about it. Basically, my ‘secret river’ is where I went for a walk through the virgin undergrowth on a sunny day when it was very low (it’s shallow at the best of times!) and was amazed to find along with the small chub a few barbel. Not many, and not of any size at all, but they certainly got my piscatorial juices flowing for sure. I’ve caught a handful now, and I get such a thrill from fishing there, that out of all the places I could have gone to for my first barbel session of 2013 (remember we had a very cold back-end to last season) that’s where I chose. 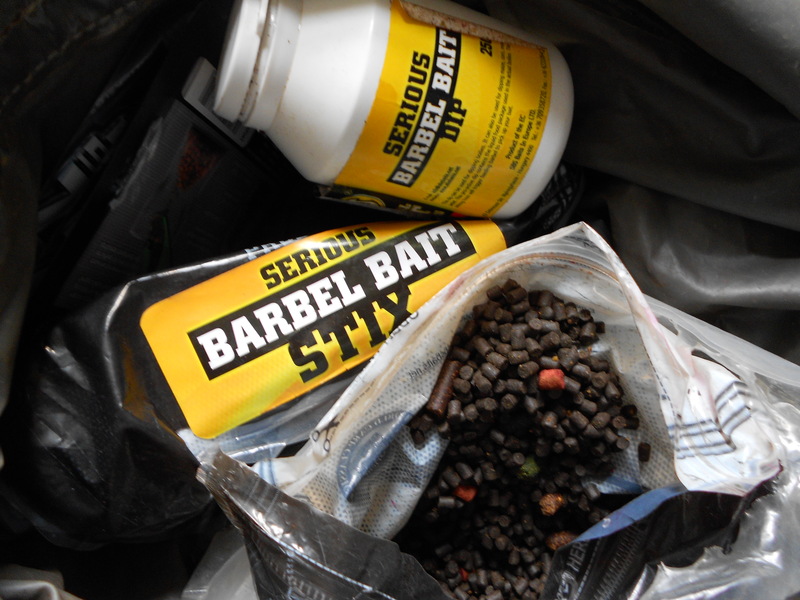 Arriving late evening, I threw out a few handfuls of hemp flavoured with SBS Undercover, and hair-rigged a piece of the same flavour Barbel Stix. The waterway was as low as I’ve seen it, although recent rains would have freshened it up a little. As always I headed for a bend where there’s a little bit of deeper water. The straights are very shallow indeed. I started getting a few chub taps and one of them resulted in my first fish of the new season. At least I wasn’t a blanker, but would I catch the elusive barbel I wanted? The answer to that was no. 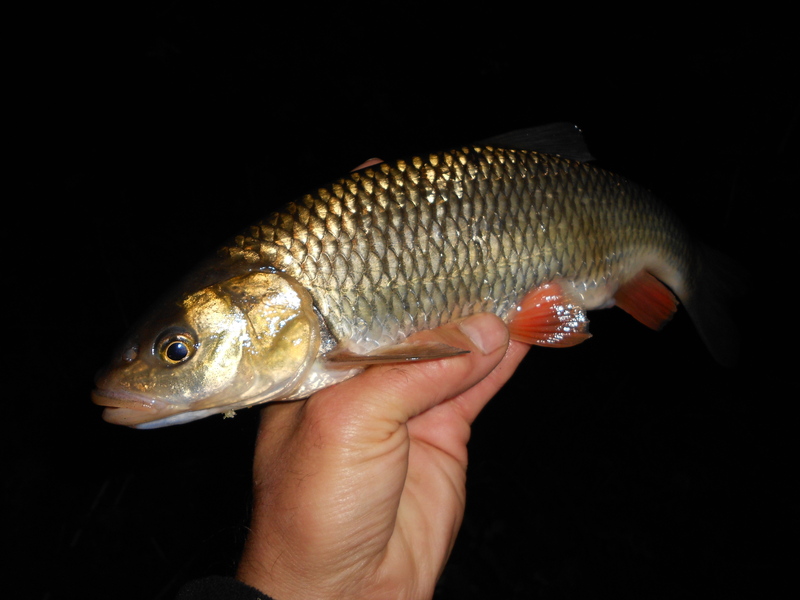 I did get another chub though which was caught about 11.00pm. Following that I had no more taps and so checking to see if I had any bait on at 4.00am I realised I was connected with a snag. I had been sitting there for five hours with zero chance of a fish. These things happen. Back home by about 5.00am I had a few hours in bed and then cracked on with my workload for the day. 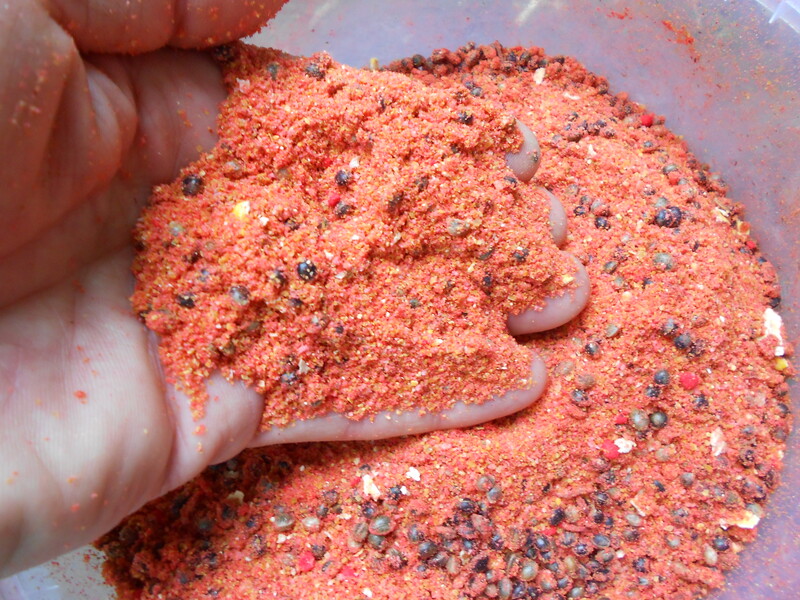 My bait was the same as my opening session and I put a few pellets out by hand. 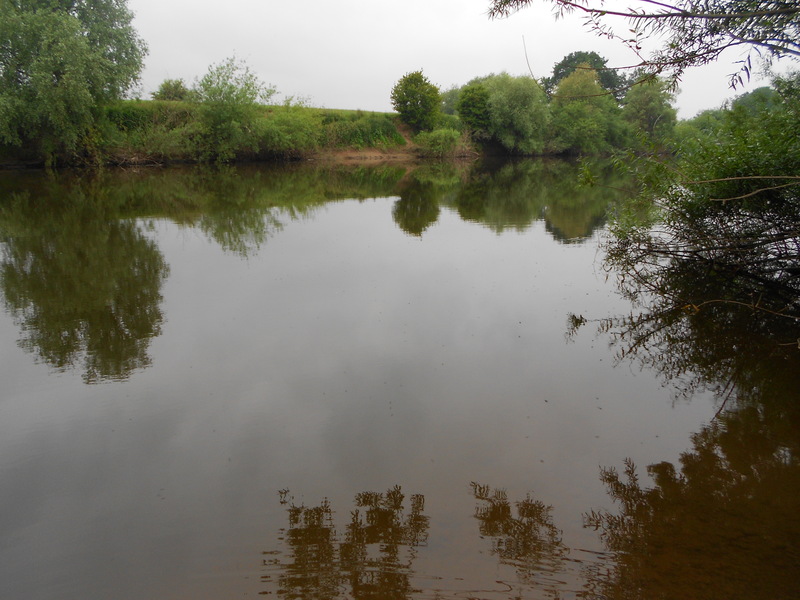 I was fishing a line along the traditional crease, where the slower near-bank water and the main flow join. It was a glorious evening and I didn’t have long to wait for my first fish. Not a barbel though, but a chub. As you would expect though, a bigger fish than the opening ones, and decent enough to pose with. I arrived on the stretch to find I had it to myself. I avoided my banker swims though and set up in a new spot. Casting to a line 1/4 of the way across I laid a feeding trail of Undercover flavoured hemp, lobbed in via balls of SBS redfish groundbait. The downstream rod presented a chunk of Undercover Barbel Stix and the other rod 2x 12mm M2 boilies. A hot and humid day, I settled back to begin the waiting game. There for the night, I positioned the rods right next to my bedchair. However there was no sleeping bag involved. The chair was just to allow me to stretch out – the first sign of a fish and I wanted to be on the rods. I put a fleece on once the sun set and that was sufficient enough to see me through the night. 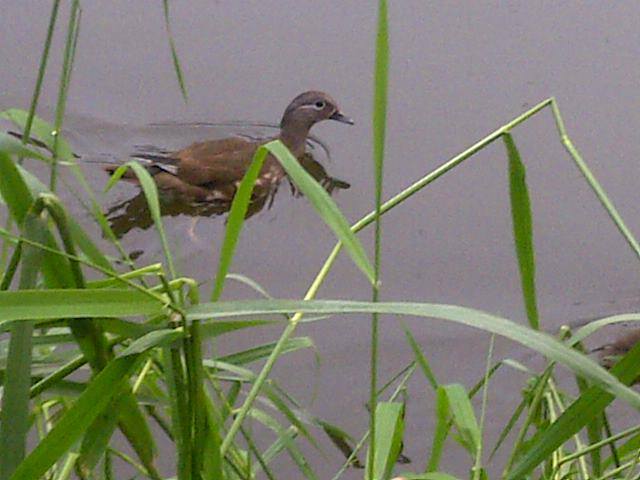 As dusk drew in I saw a cluster of mandarin ducks. Three separate sightings of a female in flight were followed by another female, but this time with c.10 fledglings. I haven’t seen a mandarin duck for a few months and after a few on the middle in session two, they were like the proverbial bus. You wait ages for one and then a number turn up together. But what about the barbel? Did they show? The answer to that can be seen in the photograph below. 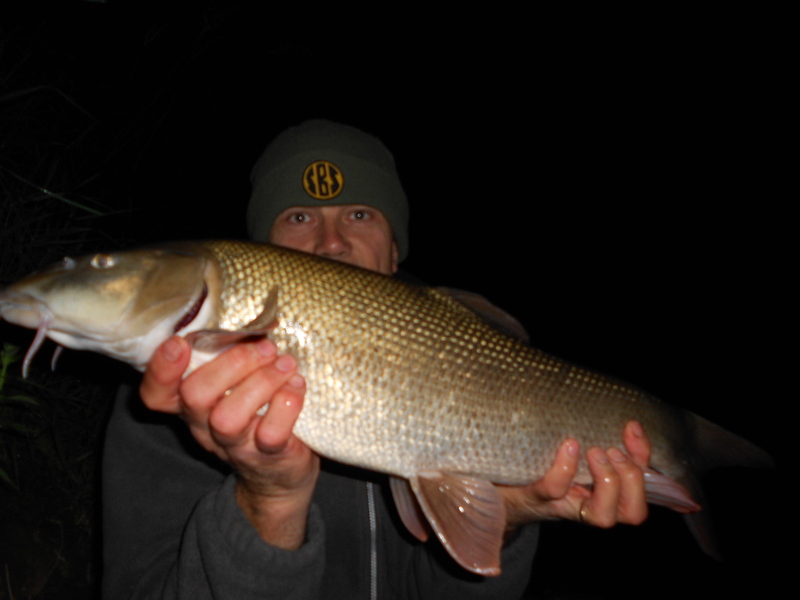 At 10.30pm the Barbel Stix rod wrapped around, I struck and I found myself connected with a fish. After a brief fight I netted it, let the camera do its business and then returned it. 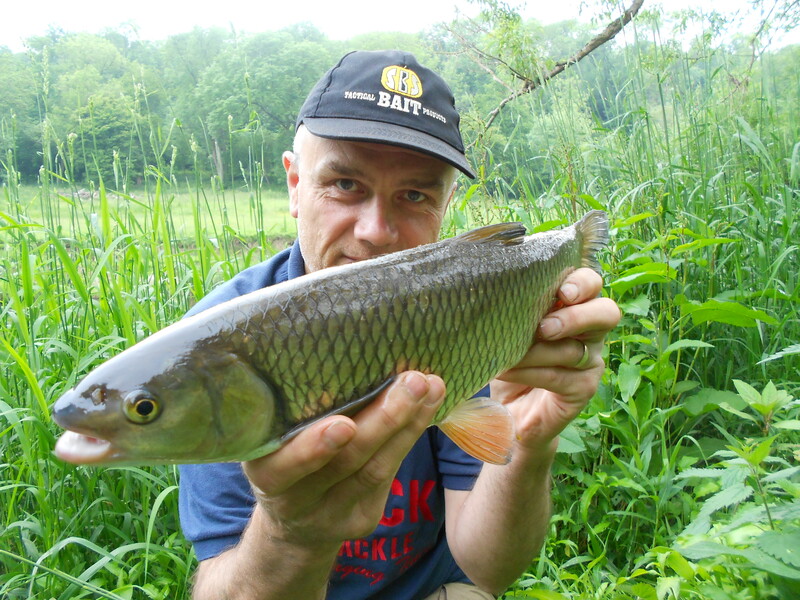 If you’re new to barbel fishing always make sure the fish is ready to go back before you let it go. Barbel give everything during the fight and therefore need time to recover. Let them go too soon and they ‘belly-up’, float downstream and die. After a brief rest mine flicked its tail and powered off back into the deeps. That’s what you want to see. The fish itself was really thick and solid, just like the ones you get that have been gorging themselves during floods. A happy bunny, anything else was going to be a bonus. As it was, that was the only fish of the session – again, another one of those thin lines between success and failure that I so often experience. As always, it’s good to be on the right side of the line! I was happy to catch especially as the river was like a piscatorial graveyard in the night. Sometimes there are big fish crashing everywhere, this time it was dead. Well, it’s been good to get back on the rivers again after the lay-off. I used to really miss them and didn’t like the close-season, but I don’t feel the same nowadays. It’s not so much that my love of rivers is diminishing, just that I enjoy the other venues as well. 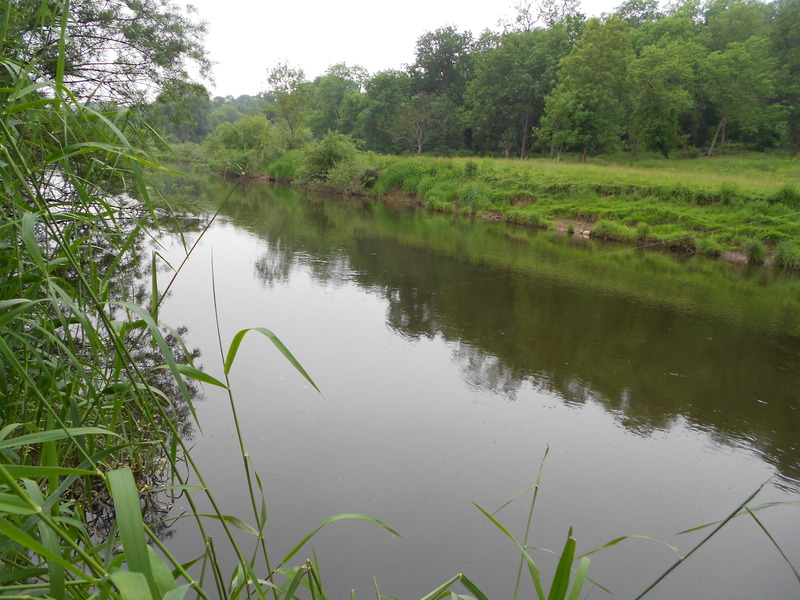 A tiny stream or the vast ocean – as long as I’m fishing I’m happy. Why wish three months of your life away when you can still fish, just somewhere else.